I know it can be so overwhelming when you have a project this size. Especially one that is in your face day in and day out. Clutter can be contagious. If your home is cluttered it can easily spill over to your finances, your job, even your head can be cluttered with to-do lists and unfinished projects. Things can get buried under the clutter, important things and that in turn can cause stress in your relationships, your home and even your life. With so many things affected by clutter, it is not surprising that clutter can actually make you sick. Both physically and emotionally. Don’t worry though, I have been where you are right now. And I have made it to the other side. Yep, I went from cluttered to organized. And you know what? If I can do it, you can too. I promise! Confession time. I used to hide my dirty dishes in the oven. Then one night my boys decided to make a pizza. They turned the oven on without checking inside and I am sure you can guess what happened next. They just about burned my house down! That was the slap in the face that I needed. My clutter issues where endangering my family. Dramatic? Maybe. Effective? You betcha! knew I needed to get things cleaned up and quick. I forced myself to clean things up and clean things out. I walked into our most lived in room and just started. I put on music and tuned everything else out. It wasn’t easy, but it was necessary. For my family and myself. And you know what? It is the best thing I could have done. I love my home now! It is my sanctuary, my zen. I love to be here and I love to have people over. And life is sooooo much easier!! Now, it’s your turn. 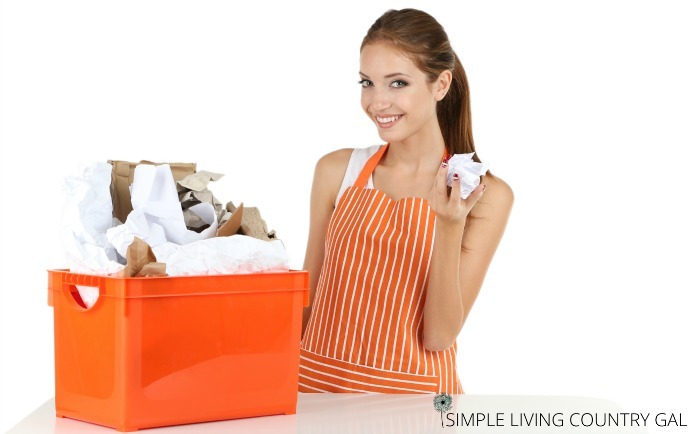 If you’re ready to start decluttering, let’s get your very first room streamlined shall we? How To Start Decluttering Your Home. 10 Easy Tips. Take a trash bag and walk around your home. If you see any trash at all grab it and keep on going. Don’t touch anything else, do not get distracted. Just remove the trash and move on. Papers, napkins, tissues, pop/soda cans, newspapers, magazines, whether you recycle it or trash it the point is to remove it. If you have kids at home like I do you may have to do this tip every….single…..day…. I am not sure what it is about my boys, but water glasses can be found scattered throughout my home when they are around. This little tip takes just a few minutes and can go a long way to clearing out some of the visual clutter in your home. This is my favorite “new” tip I learned and I LOVE IT. Have a basket for all papers and reading materials. A clothes basket, a plastic basket or even a box will work perfectly. Keep all papers that need read over or paid attention to in this basket. Whether you have a nice one that can remain out or a basket that you keep in a closet or spare room. The simplicity of this tip is awesome. As soon as you come across any papers that cannot be thrown away such as mail, toss it in the basket. Make a date with your basket every week, for me that is the weekend. Knowing that your basket will get attention every week will keep you on top of financials and keep your home from being overrun by paper clutter. I have this awesome huge hinged basket and I just love it. It has a lid, fits perfectly on my bookcase and holds quite a bit. Please know that I realize everyone is at a different stage of decluttering. When I first began I had 5 clothes baskets of paper to go through. It took time to widdle that down but now I have graduated to a smaller basket that I can easily get through weekly. Whether your kids are young or grown and on their own like (most of) mine, having a family command center is a lifesaver. I think once your kids move out you need one more than ever. I am constantly coming across things that I no longer need but I know my boys will want. Being able to put that item in a basket for them keeps the clutter down in my home and keeps me from forgetting to give it to them. This also works well with mail which you will continue to get for a while after they move out. Whatever it is, if it’s for them put it in their designated spot. Try these super affordable baskets for your own command center. I love these baskets because they are collapsible and have handles for easy labeling. If you have younger children this tip can be a lifesaver. Lunch money, permissions slips, report cards can all get lost in a cluttered home. Having a system set up for these items will help keep the school clutter under control better than you think. You can read just how easy it is to set one up here. Read: How to Create a Family Command Center. Heck, even if you don’t have any children at all a family command center is too important to skip. Having a central hub to your home is a game changer for anyone that has a problem with things falling through the cracks. Tip #5 I love hampers! 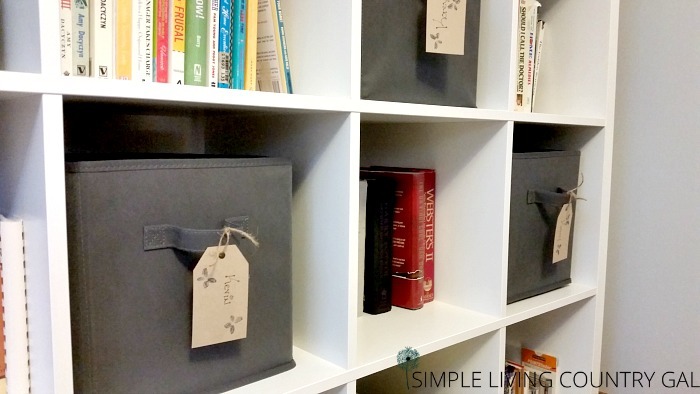 These perfect and super inexpensive hampers are amazing at keeping clutter down. I have several of these perfect and super inexpensive hamper baskets and love how much they hold and how easily compact they are. They come in different sizes and are easy to carry around. 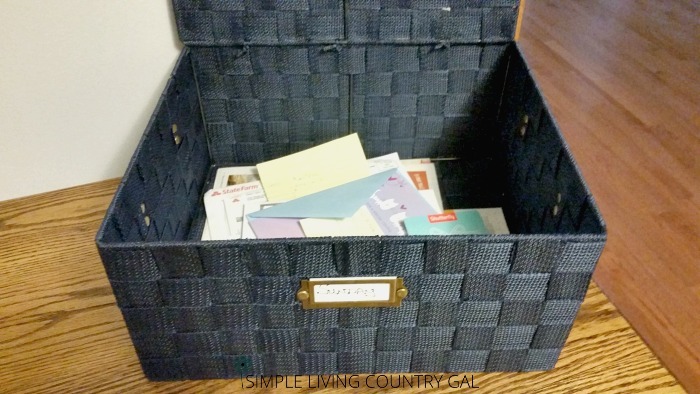 Here are some uses for these hampers that may just help you out with the clutter. Blankets in the family room. Dirty clothes-so easy to carry to and from the laundry room. Linens-if you do not have a place to house sheets and extra blankets this works perfectly. Pet toys-use a small one for your pet’s toys and keep in the corner of your room. Check the baskets out here and find your own awesome way to use them! My friend does this tip and I really love it and it’s a super simple way to start decluttering. If you come across anything you no longer want, take it and put it out it into the trunk of your car right now. 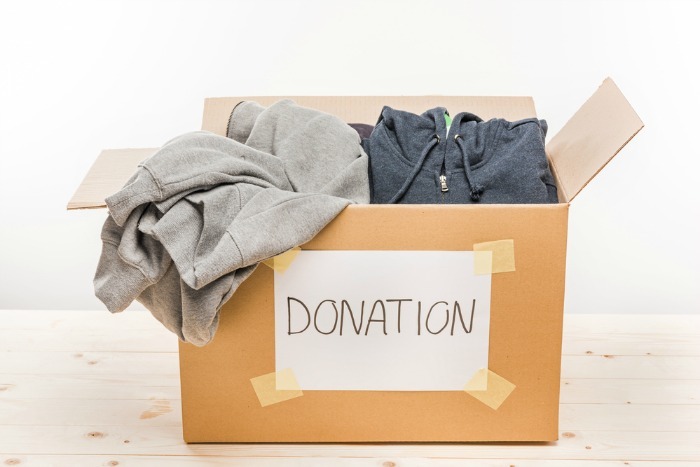 Keep a large box inside to house items that you want to donate. Clothes, dishes, toys, books. Whatever it is. Try to fill that box up each week. If this is scary for you, you can start with a smaller box. Whenever you are out running errands, make a point to stop and empty your box at a church or donation center. It will help others and help you as well. If you are having a problem with paper find a way to eliminate all that comes in. You can go paperless for most if not all bills. Read magazines online rather than subscribe and recycle all newspapers by using them in your garden or send them to your local recycling center. If you have an overstuffed closet maybe it’s time for a hard Knox rule. Nothing new in-until you take 3 old out. Let’s think about it for a minute. Clothes are uber expensive today. When you are paying $30 (or more) for a nice top, why bring it home and hang it in a closet where it is getting mangled? Clothes need to be treated with care, so make sure your clothes can hang freely without being crushed. Purchase no–slip hangars like these that keep shoulders from stretching out and as a new item comes in or if you have a top that you simply love, put it on one of your new hangars. After a month, only the clothes on those nice hangars are ones you love and should keep. The rest you can begin to donate (remember the box in your trunk??) to others that will love them for you. Do not buy anything else. If you are really serious about the clutter and just can’t deal with it anymore, THEN STOP BUYING THINGS. Yes, it’s really that simple. Make a commitment to yourself and your home. Nothing new comes in until you have the clutter under control. From here on in as a new item comes into the home put it where it belongs right then and there. If you only have a system set up for paper clutter, then do it for only the new paper that comes in. Train yourself (and others) to respect the systems you worked so hard to establish. By using them actively you will slowly see the clutter dissipate. If you want a crash course in system creation, you can read more about it here. Related posts: What You Can Do When Organizing Doesn’t Work For You. I know you are overwhelmed, I get it. 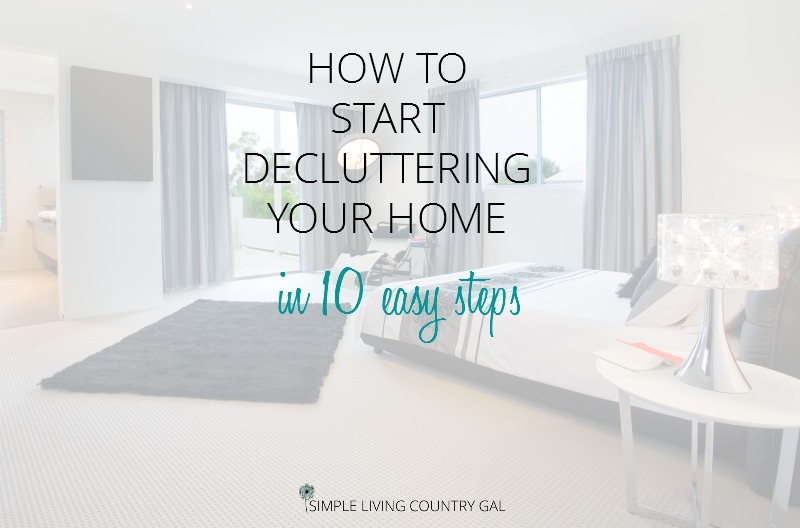 The thought of decluttering can paralyze anyone! There is clutter in your house and you just don’t know where to start. Here is your where…..Stop what you are doing right now and look around you. Find 5 things you can get rid of this very second. Go ahead, I will wait right here until you get back. Did you do it? I hope you did!! Every big project, even one this big has to start somewhere and if you just removed 5 things, then you got your start and the rest will be easy. Follow these tips and between each tip remove 5 more things. By the time you are done, you will have removed 50 things from your home all the while setting up workable systems to keep your target areas under control!! And remember why you are doing this. The finish line is a streamlined, organized and tidy (or at least close to it) home. A place where you can recharge your batteries and relax. Your home will be cozy and it will be peaceful just like it should be. And the best part? Decluttering is contagious! 6 Things You Can Do Right Now To Stop Clutter. A few final thoughts, I get it….really seriously get it. I was a HUGE clutter but. But YOU do not have to be one! Follow these tips, read all my other posts and you can finally begin to see light at the end of the tunnel. These tips are all the ones I used to take back control of my house. These are the same tips my own boys use in their homes. Why? Because they are super simple and THEY WORK. And take back your house and make it a peaceful home again. « Cleaning Up The Garden. I love tip #3! My large desk is overrun with paper. It’s so overwhelming that I just ignore it. This is an excellent idea to tame that beast! Thank you! Yes, this is my new favorite tip! It was amazingly hard to find 5 things i am willing to let go, considering i have so much stuff. I will console myself that its because i have been doing some decluttering recently ( and we had to tidy the kitchen so we could have my birthday tea on it a few days ago. ). Funny that you made me get a few things right now from a different country. Ps, that cover picture needsat lest 5x more stuff. Where are the layers? You could actually put a pile of something being organized on that couch. Thank you for helping me get started, again. I used to have my clutter in process of being controlled, and it slowly began slipping out of control again. When I stopped and picked up 5 things, it turned into 20, in just 10 minutes, maybe less. That makes it all seem doable again. Thank you! I am so glad this tip was able to help you!! Great tips! Baskets really do help, especially a mail basket. I also have a shredder and a recycle bin next to the mail basket so that what doesn’t go in the basket goes in one of the other two. This has really reduced the clutter on the kitchen counter or table. Great common sense advice….in an organized delivery. I kept reading until #3 – a basket for paper? You don’t know what is real clutter, with all due respect. If all my dirty dishes could fit into the oven and all my papers to read into a single basket, I wouldn’t need any article how to tackle it. You know what? You are exactly right. Thank you for reminding me that everyone is at a different level of clutter and not all of my tips will work for every single person. When I began putting my papers into a basket to sort through I had 5 clothes baskets full and to be honest I think there was a few bags and boxes as well. It took a long time to get through it all but I made sure every weekend I set aside enough time to get at least 1 basket sorted. Yes, it took a while but as those papers dwindled down so did the rest of the clutter in my home. I worked really hard and even though I did not have clutter that was out of control it was still in my eyes a severe situation that I felt needed to be dealt with. This is how I did it and for me, it worked amazingly well. I wish you all the best as you travel on your own decluttering journey. You are lovely. Thank you for handling even negative comments with grace and respect. You have won me as a reader. replying to San: If you are really buried in clutter, just start. I used to follow “Fly Lady.Org” She recommends 15 minutes a day. That doesn’t sound too hard for anyone. 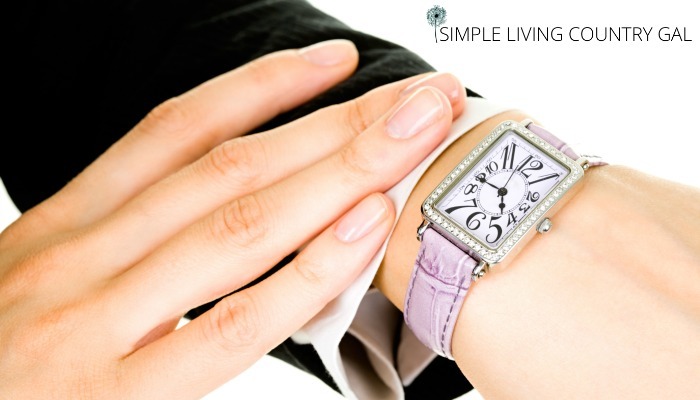 You will be surprised at how much you can get done in 15 minutes. Don’t get down on yourself. Celebrate every little victory. If you slip back into old habits, just start over. Good luck! Thank you SO much for this article! It is very simply put and forces me into immediate action. Getting older, we tend to acquire items from parents and grandparents as they pass away which cause “a whole nother issue” – sentimental attachment to items you really don’t want or need. I am blessed with seeing “worth” or “value” in discarded items from others and gifted with flipping them for a profit; however, there are very few rooms in our 3 story home that have not been affected by all the above. It’s not so bad yet that we can’t function in everyday life but it makes for difficult upkeep because nothing really has a home or a place it belongs. Your simple tips are easy to follow and even though I may always enjoy ” flipping junk” I think with time and following your tips consistently I can conquer the clutter instead of it controlling me. The MUST follow rule for me is nothing else comes in! If I could stop bringing it in and stop procrastinating and flip everything that I have, I could afford a professional organizer hahaha! I am so glad you found some value in my tips. I also have a MUST follow rule for Hubs (the biggest pack rat right now 🙂 ) Nothing new may come in until something old of comparable size goes out! haha, I drive him nuts! I have just gone back to work after being a stay at home mom for almost 5 years. I am really struggling to manage my house! After reading some of your articles I feel like it is much more manageable. I have filled 2 bags of trash and have a laundry basket full of paper stuff. Thank you so much for your time and effort on these articles! My house already feels better. I am so glad you are making progress and I just know you will get your home where you want it to be. I was struggling once myself and now that I am on the other side of clutter I can honestly say I like it here better!! I am gonna sure try your way, because it is soo hard for me to get rid of anything. I don’t want to be like this but i can’t help it. I understand your frustration Linda, and that is why it’s so important to change the way you see your things before you remove them. Remember your things are just tools that are meant to help you live a better life. Nothing more and nothing less. If you remove them you will not change in any way, but you will get rid of the chaos that comes along when you have the clutter. Start with the easiest to remove first. Trash, recyclables, torn clothes, broken things, anything that means nothing to you at all. Then slowly work your way to the other stuff that you feel is just to hard to let go of. It will get easier, I promise! My tip for reducing paper clutter is to stop keeping receipts unless they are tax deductions. I used to hang on to and file receipts after paying bills. Had a file cabinet full of old utility, insurance, credit card bills, etc. Now I trash all that with a very few exceptions. I have one file folder that holds the year’s tax deductible receipts. This is a great tip, thanks for sharing!! I’m a procrastinator… I will do everything tomorrow! Problem is, tomorrow is never today. So I decided to spend 1 day and clean my kitchen. While I was cleaning I said to myself something has to change. So I took an after picture which became my before picture and i sent it to my friend. And from that day forward I set a rule that everyday before 9 pm I will have the kitchen cleaned up. As the days have gone by the kitchen has become the easiest room to clean. I no longer dread the morning… Because the kitchen is clean. I won’t lie sometimes a dirty pan still gets into the oven but as soon as the dishwasher is empty I put that part into the dishwasher. It took about a week before I really felt the kitchen was clean. Then about a month later the picture was taken at 6:30 not 8:59. Now as soon as dinner is over the dishwasher is loaded and started. The sink is always clean. And let me say one more thing. I cook 3 meals a day for a family of 5 and I do it mostly alone. So it can be done. (Tip. My kids hate that I count my dishes but I know when I’m done or when to go hunting.) I hope someone will find this helpful as it has saved me. I am so glad you are finding your path to a decluttered home, Belle! Keep me posted on how it’s going! I can’t wait to see what all you get done!